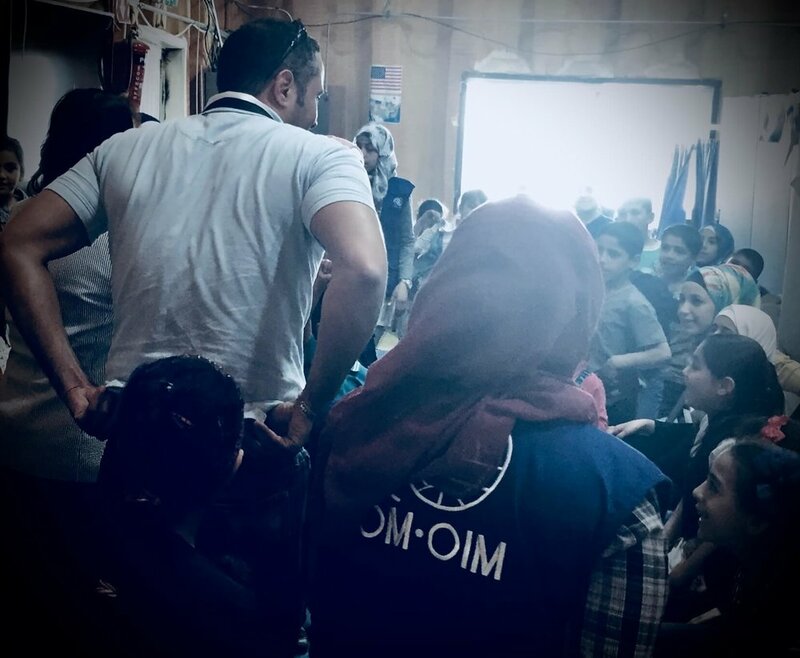 Humanitarian work can be fulfilling, but it is also demanding, emotionally charged, and often requires sacrifices from you, as well as from your friends and family members, who often don’t see you for weeks or months at a time. The work may require you to live in conflict zones and other areas with poor infrastructure and living conditions, political instability, and violence. The people whom you serve are often members of the most vulnerable populations in the world, suffering beyond anything the average person could imagine. Prolonged exposure to the suffering you witness on the front lines may result in vicarious trauma, while the harsh living conditions, long hours and dysfunction in the workplace can very quickly lead to burnout and compassion fatigue in an industry that is still not set up to support the well-being of its professionals. Attrition rates are exceptionally high and though the industry spends millions of dollars to train you and your colleagues to do this work, their return on that investment is significantly low. And yet, even after experiencing all of this, you continue to show up and serve every day, because it’s your calling - that indescribable thing that gets you out of bed every morning and propels you forward on those long days when you’re exhausted, scared, and want nothing more than a hot shower and a soft bed. You can’t continue to advocate for others with zeal if you don’t serve yourself first. Serving others matters to you, and serving you matters to us. Roots in the Clouds is here to support you in prioritizing your well-being so you can continue to do the work that you do because the world needs your service. Human connection is fundamental to our mental and physical well-being. High quality connections have been shown to positively impact our physical and mental well-being, allowing us to build resilience and function at peak performance. The introduction of modern technology has made it easier than ever to stay in touch, but being away from family and friends for extended periods of time can take a toll and you still have to work at making those connections meaningful. As a humanitarian you have probably sacrificed personal relationships at the cost of the work - but we’re here to tell you that you don’t have to sacrifice yourself for your work. If you’re here, it’s likely that you have a deep seated desire to serve others - that is wonderful! So what do you do to ensure you’re able to do this work day in and day out? We know that stress and hardship are a given for most everyone at some point in life - and yet - we do very little as a society to prepare ourselves to face and overcome these challenges. When was the last time you served yourself by indulging in some well deserved self-care? There is a saying that “you can’t pour from a cup that is empty.” This is especially true for humanitarians who give so much of themselves to the individuals whom they serve. But the simple truth is that as a humanitarian, you must make your well-being a priority in order for you to remain effective. At Roots in the Clouds we help you build meaningful daily rituals and practices that allow you to thrive. Public servant by day, and a globe-trotting foodie, photographer and storyteller at heart. Dimple has worked in public service and the humanitarian sector for over 20 years, living and working in over 40 countries over the past two decades. Dimple is a native of Denver, but has called California (southern and northern), Greece, India, and DC home at various points in her life. Dimple has a B.A in Institutions and Policies from William Jewell College and Oxford University, and a J.D from the University of Denver, College of Law. In July 2018, Dimple received her ACC accreditation from the International Coaching Federation, formalizing more than 10 years of ad hoc coaching experience. In addition to being a member of the “will travel for food” club, Dimple is a writer and photographer and has had her work featured in Thrive Global and in photography exhibits and galleries in the DC metro area and abroad. Dimple uses principles of positive psychology to help clients connect to their purpose and find greater work/life harmony through mindfulness, resilience building, and wholehearted living. The four key pillars of Roots in the Clouds are mindfulness, connection, savoring, and love. Our logo was the creative vision of talented designer, Kajal Dhabalia, Founder of Wholesome Soul. Every part of the design has special significance to us as noted below. The name “Roots in the Clouds” and the curly script represent the idea that we don’t have to be in one place to plant roots. The hummingbird symbolizes the free spirit of humanitarians who spend their lives traveling from place to place in service of others . The heart in the heart-flower symbolizes the love humanitarians put into the world. The flower represents self-care and well-being. The golden star represents True North. - that voice inside our hearts that guides us on our path towards meaning and purpose.